The life of Mollie Steimer, a Jewish anarchist in New York who opposed the First World War, and later lived in exile in France and Mexico. ON JULY 23, 1980, Mollie Steimer died of heart failure in the Mexican town of Cuernavaca, ending a life of uninterrupted activity in behalf of the anarchist cause. At the time of her death, Steimer was one of the last of the prominent figures closely associated with Emma Goldman and Alexander Berkman. She was also one of the last of the oldtime anarchists with an international reputation, the survivor of a remarkable company of Russian political exiles in Mexico that included such diverse figures as Jacob Abrams, Victor Serge, and Leon Trotsky. When her heart gave out, Steimer was eighty-two years old. Born on November 21, 1897, in the village of Dunaevtsy in southwestern Russia, she had emigrated to the United States in 1913 with her parents and five brothers and sisters. Only fifteen when she arrived in the New York ghetto, she immediately went to work in a garment factory to help support her family. She also began to read radical literature, starting with Bebel's Women and Socialism and Stepniak's Underground Russia before discovering the works of Bakunin, Kropotkin, and Goldman. By 1917 Mollie had become an anarchist. With the outbreak of the Russian Revolution, she plunged into agitational activity, joining a group of young anarchists gathered around a clandestine Yiddish journal called Der Shturm (The Storm). Plagued by internal dissension, the Shturm group reorganized itself towards the end of the year, adopting the name of Frayhayt (Freedom) and launching a new journal under that title, of which five numbers appeared between January and May of 1918, with cartoons by Robert Minor and articles by Maria Goldsmith and Georg Brandes, among others. For its motto the editors chose Henry David Thoreau's celebrated dictum, "That government is best which governs not at all" (in Yiddish: "Yene regirung iz dibeste, velkhe regirt in gantsn nit"), an extension of Jefferson's "That government is best which governs least." The Frayhayt group consisted of a dozen or so young men and women, workers of east European Jewish origin, who met regularly at 5 East 104th Street in Harlem, where several of them, including Steimer, shared a six-room apartment. The most active figure in the group, apart from Mollie herself, was Jacob Abrams, thirty-two years old, who had immigrated from Russia in 1906. In 1917, as secretary of the Bookbinder's Union, Abrams had labored to prevent the extradition of Alexander Berkman to San Francisco, where the authorities were seeking to implicate him in the famous Mooney-Billings dynamiting affair. Another member of the group was Abrams's wife Mary, a survivor of the tragic Triangle Shirtwaist fire in 1911, from which she managed to escape with minor injuries by jumping out of a window. The rest included Hyman Lachowsky, a printer, Samuel Lipman, twenty-one years old and more a Marxist than an anarchist, Lipman's girlfriend Ethel Bernstein, her sister Rose Bernstein, Jacob Schwartz, Sam Hartman, Bernard Sernaker (whose daughters, Germinal and Harmony, attended the Ferrer School at Stelton), Clara Larsen, Sam and Hilda Adel (uncle and aunt of the writer Leon Edel), and Zalman and Sonya Deanin. The group, as a collective, edited and distributed their newspaper in secret. This was necessary because it had been outlawed by the federal government for its opposition to the American war effort, not to speak of its anticapitalist, prorevolutionary, and pro-Soviet orientation ("The only just war is the social revolution," proclaimed its masthead). Printing the paper on a hand press, the group folded it tightly and stuffed it at night into mailboxes around the city. Federal and local officials soon became aware of their activities but were unable to track the group down, until an incident occurred that catapulted Abrams, Steimer, and their comrades into the headlines-and also landed them in jail. What provoked the incident was the landing of American troops in Soviet Russia during the spring and summer of 1918. Viewing the intervention as a counterrevolutionary maneuver, the members of the Frayhayt group resolved to stop it. With this object, they drafted two leaflets, one in English and one in Yiddish, appealing to the American workers to launch a general strike. "Will you allow the Russian Revolution to be crushed?" the English leaflet asked. "You; yes, we mean You, the people of America! THE RUSSIAN REVOLUTION CALLS TO THE WORKERS OF THE WORLD FOR HELP. The Russian Revolution cries: 'WORKERS OF THE WORLD! AWAKE! RISE! PUT DOWN YOUR ENEMY AND MINE!' Yes, friends, there is only one enemy of the workers of the world and that is CAPITALISM." The Yiddish leaflet bore a similar message: "Workers, our reply to the barbaric intervention has to be a general strike! An open challenge will let the government know that not only the Russian worker fights for freedom, but also here in America lives the spirit of revolution. Do not let the government scare you with their wild punishment in prisons, hanging and shooting. We must not and will not betray the splendid fighters of Russia. Workers, up to fight!" Both leaflets were printed in five thousand copies. Steimer distributed most of them at different places around the city. Then, on August 23, 1918, she took the remainder to the factory in lower Manhattan where she worked, distributed some by hand, and threw the rest out of a washroom window on an upper floor. Floating to the street below, they were picked up by a group of workmen, who immediately informed the police. The police in turn notified American military intelligence, which sent two army sergeants to the building. Going from floor to floor, they encountered a young worker named Hyman Rosansky, a recent recruit of the Frayhayt group, who had been helping with the distribution of the leaflets. Rosansky admitted his involvement, turned informer, and implicated the rest of his comrades. Steimer was quickly taken into custody, along with Lachowsky and Lipman. The same day, police raided the headquarters of the group on East 104th Street, wrecking the apartment and arresting Jacob Abrams and Jacob Schwartz, who were beaten with fists and blackjacks on the way to the station house. When they arrived, further beatings were administered. Schwartz was spitting blood. Soon afterwards, Lachowsky was brought in bruised and bleeding, with tufts of hair torn from his head. During the next few days, the rest of the group were rounded up and questioned. A few were released, but Abrams, Steimer, Lachowsky, Lipman, and Schwartz, along with a friend named Gabriel Prober, were indicted on charges of conspiracy to violate the Sedition Act, passed by Congress earlier that year. Rosansky, who had cooperated with the authorities, was granted a postponement of his hearing. The Abrams case, as it came to be known, constitutes a landmark in the repression of civil liberties in the United States. The first important prosecution under the Sedition Act, it is cited in all standard histories of the subject as one of the most flagrant violations of constitutional rights during the Red Scare hysteria that followed the First World War. The trial, which lasted two weeks, opened on October 10, 1918, at the Federal Court House in New York. The defendants were Abrams, Steimer, Schwartz, Lachowsky, Lipman, and Prober. Schwartz, however, never appeared in court. Severely beaten by the police, he was removed to Bellevue Hospital, where he died on October 14, while the trial was in progress. Official records attribute his death to Spanish influenza, an epidemic of which was raging. According to his comrades, however, Schwartz had been brutally murdered. His funeral became a political demonstration; and on October 25 a memorial meeting, chaired by Alexander Berkman, was held in his honor at the Parkview Palace. It was attended by twelve hundred mourners, who heard speeches by John Reed, who had himself been arrested for condemning American intervention in Russia, and Harry Weinberger, the defense attorney in the Abrams case, who had previously represented Berkman and Goldman in their 1917 trial for opposing military conscription. He would shortly serve as counsel for Ricardo Flores Magon in his bid to secure release from prison. The Abrams case was tried before judge Henry DeLamar Clayton, who for eighteen years had represented Alabama in Congress. Clayton proved to be another Gary or Thayer, the judges in the Haymarket and Sacco-Vanzetti cases. He questioned the defendants about their "free love" activity, and he mocked and humiliated them at every turn. "You keep talking about producers," he said to Abrams. "Now may I ask why you don't go out and do some producing? There is plenty of untilled land needing attention in this country." When Abrams, at another point, called himself an anarchist and added that Christ was also an anarchist, Clayton interrupted: "Our Lord is not on trial here. You are." Abrams began to reply: "When our forefathers of the American Revolution"- but that was as far as he got. Clayton: "Your what?" Abrams: "My forefathers." Clayton: "Do you mean to refer to the fathers of this nation as your forefathers? Well, I guess we can leave that out, too, for Washington and the others are not on trial here." Abrams explained that he had called them that because "I have respect for them. We are a big human family, and I say 'our forefathers.' Those that stand for the people, I call them fathers." Weinberger, the defense attorney, tried to show that the Sedition Act was meant to penalize activities which hindered American conduct of the war, and that since American intervention was not directed against the Germans or their allies, then opposition to it by the defendants could not be, construed as interference with the war effort. This argument, however, was thrown out by judge Clayton with the remark that "the flowers that bloom in the spring, tra la, have nothing to do with the case." The New York Times, praising the judge's "half-humorous methods," declared that he deserved "the thanks of the city and of the country for the way in which he conducted the trial." Upton Sinclair, by contrast, said that Clayton had been imported from Alabama to make Hester Street safe for democracy. Before the conclusion of the trial, Mollie Steimer delivered a powerful speech in which she explained her political beliefs. "By anarchism," she declared, "I understand a new social order, where no group of people shall be governed by another group of people. Individual freedom shall prevail in the full sense of the word. Private ownership shall be abolished. Every person shall have an equal opportunity to develop himself well, both mentally and physically. We shall not have to struggle for our daily existence as we do now. No one shall live on the product of others. Every person shall produce as much as he can, and enjoy as much as he needs-receive according to his need. Instead of striving to get money, we shall strive towards education, towards knowledge. While at present the people of the world are divided into various groups, calling themselves nations, while one nation defies another-in most cases considers the others as competitive-we, the workers of the world, shall stretch out our hands towards each other with brotherly love. To the fulfillment of this idea I shall devote all my energy, and, if necessary, render my life for it." The barbarity of the sentences for the distribution of leaflets shocked liberals and radicals alike. A group of faculty members at the Harvard Law School, headed by Zechariah Chafee, protested that the defendants had been convicted solely for advocating nonintervention in the affairs of another nation, in short, for exercising the right of free speech. "After priding ourselves for over a century on being an asylum for the oppressed of all nations," declared Professor Chafee, "we ought not suddenly jump to the position that we are only an asylum for men who are no more radical than ourselves. Suppose monarchical England had taken such a position towards the republican Mazzini or the anarchist Kropotkin!" Joining Chafee in drafting a petition for amnesty was "the whole legal staff at Harvard," including such distinguished jurists as Roscoe Pound and Felix Frankfurter. Similar petitions were signed by Norman Thomas, Hutchins Hapgood, Neith Boyce, Leonard Abbott, Alice Stone Blackwell, Henry Wadsworth Longfellow Dana, and Bolton Hall. In Detroit, Agnes Inglis, the future curator of the Labadie Collection at the University of Michigan, worked in behalf of the defendants. An Italian anarchist of the same city wrote a play about the case and acted in it with his comrades. Meanwhile, the four anarchists were released on bail to await the results of their appeal. Steimer immediately resumed her radical activities. Over the next eleven months she was arrested no fewer than eight times, kept in the station house for brief periods, released, then rearrested, sometimes without charges being preferred against her. On March 11, 1919, she was arrested at the Russian People's House on East 15th Street during a raid by federal and local police that netted 164 radicals, some of whom were later deported on the Buford with Goldman and Berkman. Charged with inciting to riot, Steimer was held for eight days in the notorious Tombs prison before being released on $1,000 bail, only to be arrested again and taken to Ellis Island for deportation. Locked up for twenty-four hours a day, denied exercise and fresh air and, the right to mingle with other political prisoners, she went on a hunger strike until the authorities eased the conditions of her confinement. "The entire machinery of the United States government was being employed to crush this slip of a girl weighing less than eighty pounds," Emma Goldman complained. The government, however, was not yet ready to deport the twentyone-year-old prisoner, whose case remained before the courts. Released from Ellis Island, Mollie was kept under constant surveillance. In the fall of 1919, when Goldman returned to New York after completing a two-year sentence in the federal penitentiary at Jefferson City, Missouri, Mollie took the opportunity to call on her. It was the beginning of a lasting friendship. Mollie reminded Emma of the Russian women revolutionaries under the tsar, earnest, ascetic, and idealistic, who "sacrificed their lives before they had scarcely begun to live." In Emma's description, Mollie was "diminutive and quaint-looking, altogether Japanese in features and stature." She was a wonderful girt, Emma added, "with an iron will and a tender heart," but "fearfully set in her ideas." "A sort of Alexander Berkman in skirts," she jested to her niece Stella Ballantine. Soon after her meeting with Goldman, Steimer was again arrested. She was imprisoned in the workhouse on Blackwell's Island, where she remained for six months, from October 30, 1919, to April 29, 1920. Locked up in a filthy cell, isolated once more from her fellow prisoners and barred from all contact with the outside world, she protested by singing "The Anarchist March" and other revolutionary songs at the top of her lungs and by staging another hunger strike. During this period, word came that the Supreme Court had upheld the conviction of Mollie and her comrades. Two justices, however, Louis Brandeis and Oliver Wendell Holmes, issued a strong dissenting opinion, agreeing with the defendants that their aim had been to help Russia and not to impede the war effort. "In this case," wrote Holmes, "sentences of twenty years' imprisonment have been imposed for the publishing of two leaflets that I believe the defendants have had as much right to publish as the Government has to publish the Constitution of the United States, now vainly invoked by them." When the Supreme Court announced its decision, Abrams, Lipman, and Lachowsky jumped bail and tried to escape to Mexico from New Orleans. Spotted by federal agents, their boat was stopped at sea, the men were removed and were taken to the federal prison in Atlanta, from which Berkman had just been released, pending his deportation to Russia. Like Berkman, Abrams and his comrades spent two years in Atlanta prison, from December 1919 to November 1921. Steimer, who had been informed of their escape plans, had refused to cooperate because it meant forfeiting $40,000 in bail contributed by ordinary workers. To deceive the men and women who had come to their aid, she felt, would be a dishonorable act. In April. 1920 she was transferred from Blackwell's Island to Jefferson City, Missouri, where Goldman had been confined before her deportation with Berkman in December 1919. "You cannot salt the eagle's tail, Nor limit thought's dominion; You cannot put ideas in jail, You can't deport opinion." Weinberger, meanwhile, with the support of the Political Prisoners Defense and Relief Committee, had been trying to secure the release of his clients on condition of their deportation to Russia. Abrams and Lipman favored such an arrangement, but Lachowsky and Steimer were on principle opposed to deportation. Mollie was particularly adamant. "I believe," she told Weinberger, "that each person shall live where he or she chooses. No individual or group of individuals has the right to send me out of this, or any country!" She was concerned, moreover, for the other political prisoners in America who must remain behind bars. "They are my comrades, too, and I think it extremely selfish and contrary to my principles as an Anarchist-Communist to ask for my release and that of three other individuals at a time when thousands of other political prisoners are languishing in the United States jails." Abrams, exasperated by Steimer's stubborn adherence to principle, offered Weinberger a word of advice. "She must be approached like a good Christian," he wrote, "with a bible of Kropotkin or Bakunin. Otherwise you will not succeed." In due course, an agreement was concluded, and Weinberger obtained the release of the four prisoners, with the stipulation that they must leave for Russia at their own expense and never return to the United States. The Political Prisoners Defense and Relief Committee took up a collection to pay for their transportation, and in November 21 Steimer and the others arrived at Ellis Island to await deportation. They were not in the least upset about leaving America. On the contrary, they were eager to return to their homeland and to work for the revolution. As their comrade Marcus Graham wrote: "In Russia their activity is yet more needed. For there, a government rules masquerading under the name of the 'proletariat' and doing everything imaginable to enslave the proletariat." Although Mollie's friends and entire family were in the United States, her heart was light at the prospect of returning to Russia'. "I shall advocate my ideal, Anarchist Communism, in whatever country I shall be," she told Harry Weinberger five days before her deportation. Two days later, on November 21, 1921 a farewell dinner was held at the Allaire Restaurant on East 17th Street in honor of the four young anarchists, with speeches by Weinberger, Leonard Abbott, Harry Kelly, Elizabeth Gurley Flynn, Norman Thomas, and others. From her cell on Ellis Island, Mollie sent an appeal to all "freedom-loving Americans" to join the social revolution. ON NOVEMBER 24, 1921, Mollie Steimer, Samuel Lipman, Hyman Lachowsky, and Jacob Abrams, accompanied by his wife, Mary, sailed for Soviet Russia on the SS Estonia. The Fraye Arbeter Shtime issued a warning. Despite their opposition to American intervention and their support of the Bolshevik regime, the paper predicted, they would not receive the welcome they expected, for Russia was no longer a haven for genuine revolutionaries but rather a land of authority and repression. The prediction was soon to be borne out. Victims of the Red Scare in America, they became victims of the Red Terror in Russia. Arriving in Moscow on December 15, 1921, they found that Goldman and Berkman had already departed for the West, disillusioned by the turn the revolution had taken. (Steimer's disappointment in missing them, she wrote Weinberger, was "very deep.") Kropotkin had died in February, and the Kronstadt rebellion had been suppressed in March. Makhno's insurgent army had been dispersed, hundreds of anarchists languished in prison, and the workers' and peasants' soviets had become instruments of party dictatorship, rubber stamps for a new bureaucracy. Amid the gloom, however, there were some bright spots. Abrams organized the first steam laundry in Moscow, operating it in the basement of the Soviet foreign ministry. At the same time, he was able to work with his anarcho-syndicalist comrades at the Golos Truda publishing house, which had not yet been suppressed. Lipman was reunited with his sweetheart Ethel Bernstein, who had been deported with Berkman and Goldman on the Buford. Always closer to Marxism than to anarchism, he completed a course of study in agronomy and in 1927 joined the Communist party. Lachowsky, unhappy in Moscow, returned to his hometown of Minsk to find work as a printer. And Steimer met Senya Fleshin, who became her lifelong companion. Three years older than Mollie, Senya had been born in Kiev on December 19, 1894, and had emigrated to the United States at the age of sixteen, working at the office of Goldman's Mother Earth until he returned to Russia in 1917 to take part in the revolution. He had been active in the Golos Truda group in Petrograd and afterwards in the Nabat Confederation in the Ukraine. Writing in the confederation's journal in March 1919, he chastised the Bolsheviks for erecting a "Chinese wall" between themselves and the people. In November 1920, the confederation was broken up and Senya, along with Volin, Mark Mratchny, and Aaron and Fanny Baron, were arrested and transferred to a prison in Moscow. Released soon after, he returned to Petrograd to work at the Museum of the Revolution. It was here that he met Steimer shortly after her arrival from America, and the two fell immediately in love. Deeply disturbed by the suppression of their movement, Senya and Mollie organized a Society to Help Anarchist Prisoners, traveling about the country to assist their incarcerated comrades. On November 1, 1922, they were themselves arrested on charges of aiding criminal elements in Russia and maintaining ties with anarchists abroad (they had been corresponding with Berkman and Goldman, then in Berlin). Sentenced to two years' exile in Siberia, they declared a hunger strike on November 17 in their Petrograd jail, and were released the next day. They were forbidden, however, to leave the city and were ordered to report to the authorities every forty-eight hours. Before long, Senya and Mollie resumed their efforts in behalf of their imprisoned comrades. On July 9, 1923, their room was raided and they were again placed under arrest, charged with propagating anarchist ideas, in violation of Art. 60-63 of the Soviet Criminal Code. Sequestered from their fellow prisoners, they again declared a hunger strike. Protests to Trotsky by foreign anarcho-syndicalist delegates to a congress of the Red International of Trade Unions (Profintern) soon brought about their release. This time, however, they were notified of their impending expulsion from the country. From Moscow came Jack and Mary Abrams and Ethel Bernstein to bid them farewell. On September 27, 1923, they were placed aboard a ship bound for Germany." Upon landing, Senya and Mollie went straight to Berlin, where Alexander Berkman and Emma Goldman were awaiting them. They arrived half-starved and penniless and without a permanent passport. For the next twenty-five years they lived as "Nansen" citizens, anarchists without a country, until they acquired Mexican citizenship in 1948. From Berlin Mollie sent two articles to the London Freedom, "On Leaving Russia" (January 1924) and "The Communists as jailers" (May 1924), in which she described her recent experience. When deported from America two years before, her "heart was light," she said, but she was "deeply grieved" to be deported from Russia, even though the "hypocrisy, intolerance, and treachery" of the Bolsheviks "aroused in me a feeling of indignation and revolt." In her homeland, she declared, a great popular revolution had been usurped by a ruthless political elite. "No, I am NOT happy to be out of Russia. I would rather be there helping the workers combat the tyrannical deeds of the hypocritical Communists." In Berlin, and afterwards in Paris, Senya and Mollie resumed the relief work that had led to their deportation. Together with Berkman, Goldman, Alexander Schapiro, Volin, and Mratchny, they served on the joint Committee for the Defense of Revolutionaries Imprisoned in Russia (1923-1926) and the Relief Fund of the International Working Men's Association for Anarchists and Anarcho-Syndicalists Imprisoned in Russia (1926-1932), sparing no effort to maintain a steady flow of parcels and messages of encouragement to their imprisoned and exited comrades. Their archives, housed at the International Institute of Social History in Amsterdam, bulge with letters from Siberia, the White Sea, and Central Asia, from such exotic-sounding places as Pinega, Minusinsk, Ust-Kulom, Narym, and Yeniseisk, which made up the Gulag Archipelago. Some of the letters were from anarchists they had known in America. In Paris, to which Senya and Mollie moved in 1924, they lived in a room with Volin and his family, before moving in with yet another Russian anarchist fugitive, Jacques Doubinsky. In 1927 they joined Volin, Doubinsky, and Berkman in forming the Mutual Aid Group of Paris to assist fellow anarchist exiles, not only from Russia but also from Italy, Spain, Portugal, and Bulgaria, penniless, without legal documents, and in constant danger of deportation, which in some cases would have meant death. At the same time, they joined Volin, Berkman, and others in denouncing the Organizational Platform drawn up by another Russian exile, Peter Arshinov, with the encouragement of Nestor Makhno. To Senya and Mollie, the Organizational Platform, with its call for a central executive committee, contained the seeds of authoritarianism and clashed with the basic anarchist principle of local autonomy. "Alas," wrote Mollie in November 1927, "the entire spirit of the 'platform' is penetrated with the idea that the masses MUST BE POLITICALLY LED during the revolution. There is where the evil starts, all the rest ... is mainly based on this line. It stands for an Anarchist Communist Workers' Party, for an army ... for a system of defense of the revolution which will inevitably lead to the creation of a spying system, investigators, prisons and judges, consequently a TCHEKA." In order to earn a living, Senya had meanwhile taken up the profession of photography, for which he exhibited a remarkable talent; he became the Nadar of the anarchist movement, with his portraits of Berkman, Volin, and many other comrades, both well known and obscure, as well as a widely reproduced collage of the international anarchist press. In 1929 Senya was invited to work in the studio of Sasha Stone in Berlin. There, assisted by Mollie, he remained until 1933, when Hitler's rise to power forced them to return to Paris, where they continued to live until the outbreak of the Second World War. During these years of exile in the - 1920s and 1930s, Senya and Mollie received a steady stream of visitors-Harry Kelly, Rose Pesotta, Rudolf and Milly Rocker, among others-some of whom recorded their impressions of their old friends. Kelly, for example, found Mollie "as childlike in appearance as ever, and as idealistic too." Goldman, however, thought her "narrow and fanatical," while Senya was always "ill and broken." Emma again compared Mollie to Berkman as a young militant and "a fanatic to the highest degree. Mollie is a repetition in skirts. She is terribly sectarian, set in her notions, and has an iron will. No ten horses could drag her from anything she is for or against. But with it all she is one of the most genuinely devoted souls living with the fire of our ideal." The most emotional reunion of these years came in 1926, when Jack and Mary Abrams arrived from Russia, disenchanted with the Soviet system. For several weeks the four old comrades shared Senya and Mollie's room in Volin's flat, talking over old times and wondering what the future held in store, until the Abramses went on to Mexico, where they lived out the remainder of their lives. As for the other defendants in the 1918 trial, Lachowsky had moved to his native Minsk and was never heard from again, while Lipman worked as an agronomist until Stalin's Great Purge, when he was arrested and shot. His wife Ethel was sent to a Siberian prison camp for ten years and now resides in Moscow, alone and impoverished. Their only child, a son, was killed at the front during the war against Hitler. The outbreak of the war in 1939 found Senya and Mollie in Paris. At first they were not molested, but before long their Jewish origins and anarchist convictions caught up with them. On May 18, 1940, Mollie was placed in an internment camp, while Senya, aided by French comrades, managed to escape to the unoccupied sector of the country. Somehow, Mollie secured her release, and the two were reunited in Marseilles, where they saw their old friend Volin for the last time in the autumn of 1941. Soon afterwards, they crossed the Atlantic and settled in Mexico City. "How my heart aches for our forsaken beloved ones," wrote Mollie to Rudolf and Milly Rocker in December 1942. "Who knows what will become of Volin, of all our Spanish friends, of our Jewish family! It is maddening!" For the next twenty years Senya operated his photographic studio in Mexico City under the name SEMO - for Senya and Mollie. During this time they formed a close relationship with their Spanish comrades of the Tierra y Libertad group, while remaining on affectionate terms with Jack and Mary Abrams, notwithstanding Jack's friendship with Trotsky, who had joined the colony of exiles in Mexico. Shortly before his death in 1953, Abrams was allowed to enter the United States to have an operation for throat cancer. "He was a dying man who could hardly move," their friend Clara Larsen recalled, "yet he was guarded by an FBI agent twenty-four hours a day!" Mollie, however, never returned to America. Friends and relatives had to cross the border and visit her in Mexico City or Cuernavaca, to which she and Senya retired in 1963. When deported from the United States, Mollie had vowed to "advocate my ideal, Anarchist Communism, in whatever country I shall be." In Russia, in Germany, in France, and now in Mexico, she remained faithful to her pledge. 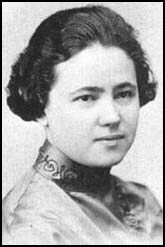 Fluent in Russian, Yiddish, English, German, French, and Spanish, she corresponded with comrades and kept up with the anarchist press around the world. She also received many visitors, including Rose Pesotta and Clara Larsen from New York. In 1976 Mollie was filmed by a Dutch television crew working on a documentary about Emma Goldman, and in early 1980 she was filmed again by the Pacific Street Collective of New York, to whom she spoke of her beloved anarchism in glowing terms. In her last years, Mollie felt worn and tired. She was deeply saddened by the death of Mary Abrams in January 1978. Two years later, not long after her interview with Pacific Street films, she collapsed and died of heart failure in her Cuernavaca home. To the end, her revolutionary passion had burned with an undiminished flame. Senya, weak and ailing, was crushed by her sudden passing. Lingering on less than a year, he died in the Spanish Hospital in Mexico City on June 19, 1981. Avrich, Paul, Anarchist Portraits, Princeton University, New Jersey, 1988.